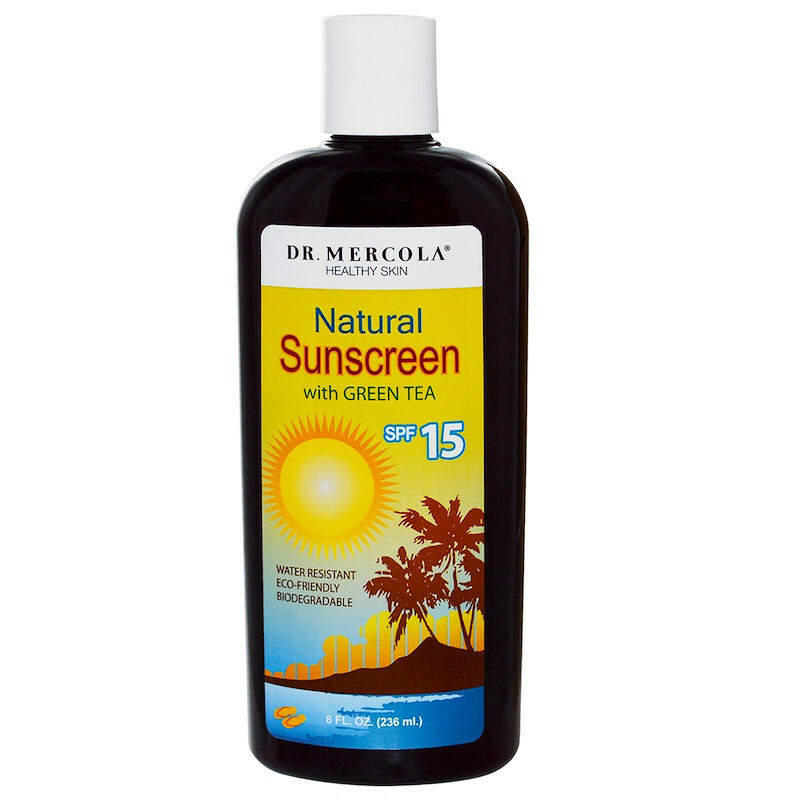 Солнцезащитный крем, SPF 15 (Sunscreen), Dr. Mercola, 236 мл. 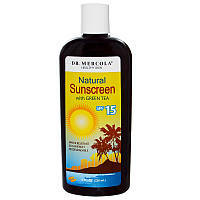 Dr. Mercola's Sunscreen ingredients protect, nourish, and moisturize your skin. 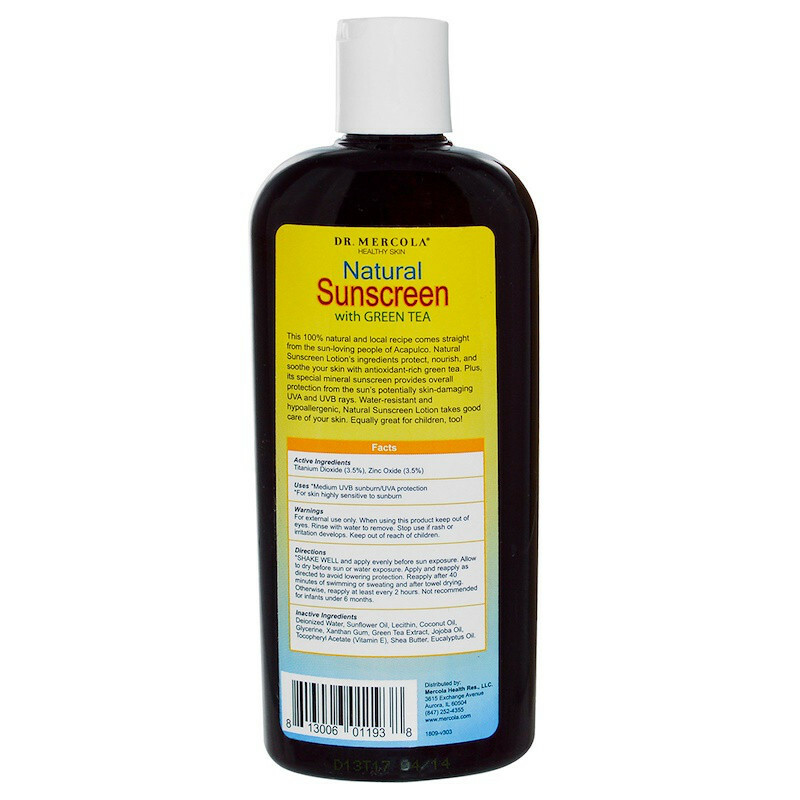 Plus, its active sunscreen mineral helps provide protection from the sun's potentially skin-damaging UVA and UVB rays. Water resistant. Equally great for children over 6 months, too! Inactive ingredients: Aloe barbadensis leaf juice, water (aqua), helianthus annuus (sunflower) seed oil, lecithin, cetearyl alcohol, cetearyl glucoside, cetearyl olivate, sorbitan olivate, glycerin, simmondsia chinensis (jojoba) seed oil, butyrospermum parkii (shea) butter, camellia sinensis leaf extract, cocos nucifera (coconut) oil, gluconolactone, potassium sorbate, xanthan gum, punica granatum fruit extract, tocopherol, rubus idaeus (raspberry) seed oil, astaxanthin, eucalyptus globulus leaf oil.